PT Sinergi Perkebunan Nusantara - PT SPN is a rapid growing plantation company in Indonesia. PT SPN has core business competencies in Oil Palm Plantation. 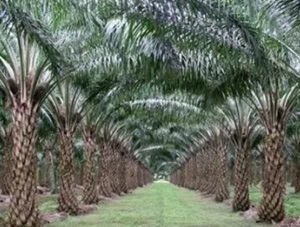 Its business include rehabilitating, developing and managing agricultural estate as well as building a palm oil plant. PT SPN has working area in Morowali, Central Sulawesi. PT Sinergi Perkebunan Nusantara was formed in 2011 based on the deed of establishment which made before Public Notary Sri Ismiyati, SH Number 40 on 14 December 2011. PT Sinergi Perkebunan Nusantara is a joint venture company between 2 state-owned plantation companies; PT Perkebunan Nusantara XIV and PT Perkebunan Nusantara IV. According to information found in PT Perkebunan Nusantara IV Annual Report 2016 as cited by JobsCDC.com, PT Sinergi Perkebunan Nusantara is 71.28% owned by PT Perkebunan Nusantara IV and 28.72% by PT Perkebunan Nusantara XIV (as of December 2016). Male, healthy physically and spiritually, Indonesian citizen, age 35 - 45 years old. Required experience for minimum 5 years in Finance / Accounting. Expertise with Accounting Systems and Corporate Finance. Computer literate, minimum Microsoft applications and other common financial applications. Strong understanding about the tax system and regulations. Able to create financial planning and complete Corporate Financial Report accompanied by Financial Statement Analysis. Strong understanding about Business Process Preparation and make it happen in a system. Never punished for committing a crime. Never dismissed with disrespect from any Government or Private Institution or Legal Entity. JobsCDC.com now available on android device. Download now on Google Play here. Please be aware of recruitment fraud. The entire stage of this selection process is free of charge. PT Sinergi Perkebunan Nusantara - Finance Manager PTPN Group March 2018 will never ask for fees or upfront payments for any purposes during the recruitment process such as transportation and accommodation.